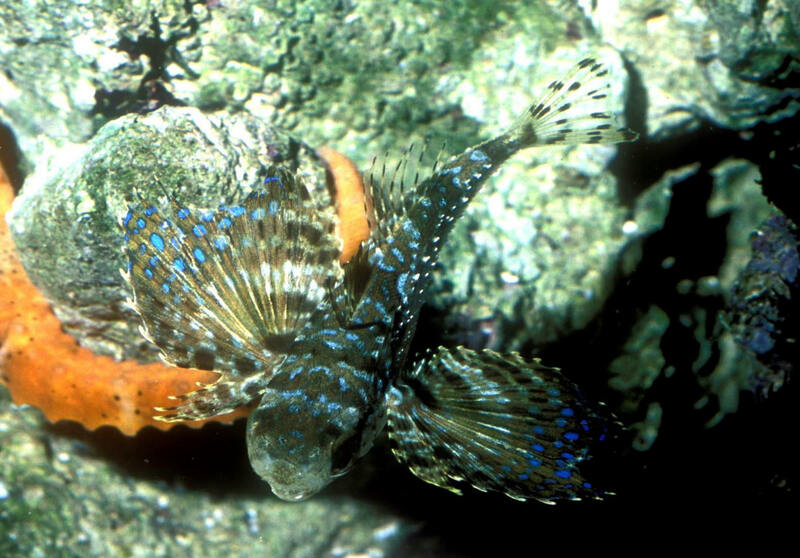 Dactylopterus volitans (Linnaeus 1758), the Flying Gurnard. Eastern and western Atlantic coasts. To ninety cm. total length (most much smaller). Feeds primarily on benthic crustaceans, especially crabs, clams and small fishes. Aquarium image. 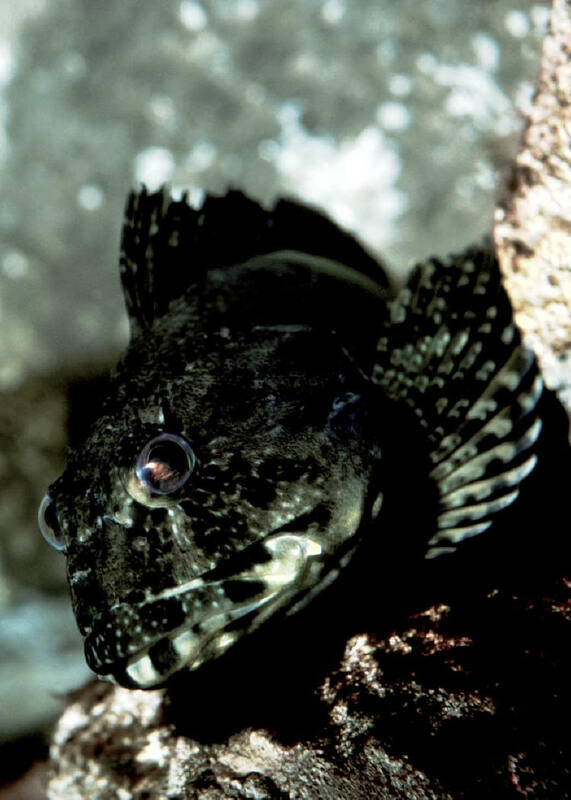 Scorpaenichthys marmoratus Girard 1854, the Cabezon. Northeastern Pacific coast; Alaska to Baja California (coldwater). To three feet in length. Found on rocky to sandy shores. Eat crabs, fish, mollusks. Flesh good to eat, but eggs/roe are toxic. Aquarium photo. 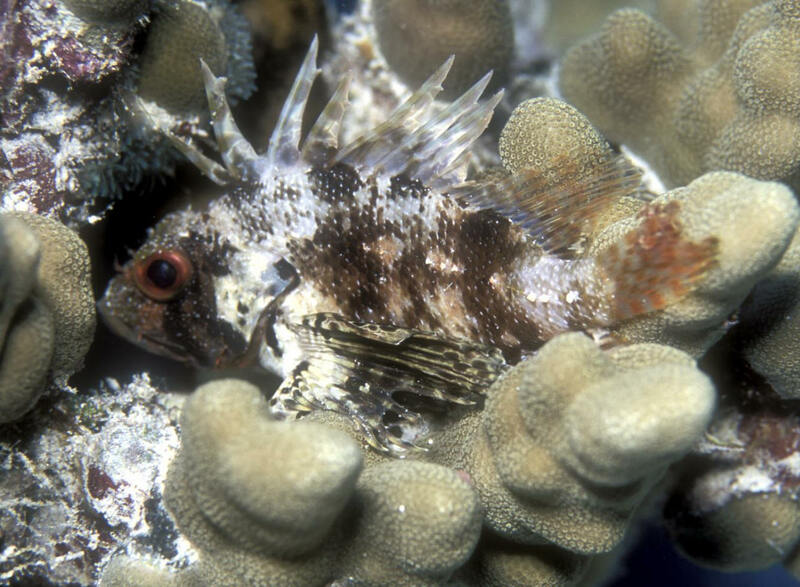 Dendrochirus barberi (Steindachner 1900), the Green (to the dive interest) or Hawaiian Lionfish. Eastern Central Pacific; Hawai'i and Johnston Atoll. Found in 1-50 meters of water, generally on coral or resting in rocky recesses. To about six inches total length. Very venomous to the touch. Here off of Kona.